Half-Life, one of the games that revolutionized the FPS genre in it's Hey Day. We all know or Heard about the series in one way, shape, or form. it's one of Valve's most popular franchises. but sadly, they stop making games for the series. but thankfully, the Community is keeping it alive with Mods, Artwork, Videos, Animations, and other things that keep this series going. 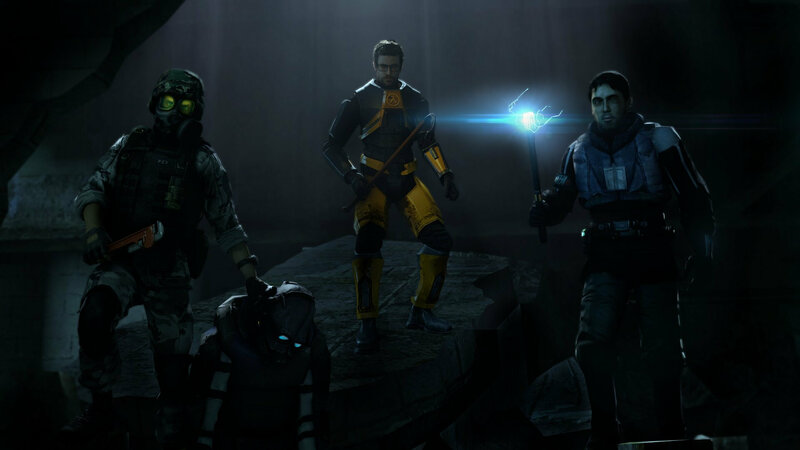 and seeing how it's going to be Half-Life's Birthday soon, I think it's a good time to make a Topic about this Amazing Franchises! so give your thoughts, share stuff that you like, and give that beer I owe you! I wonder why no one made this sort of thing :/ Anyways, talk about one of the grestest video game franchises of all time as well as Portal since they are both connected.